events, festivals and house concerts. 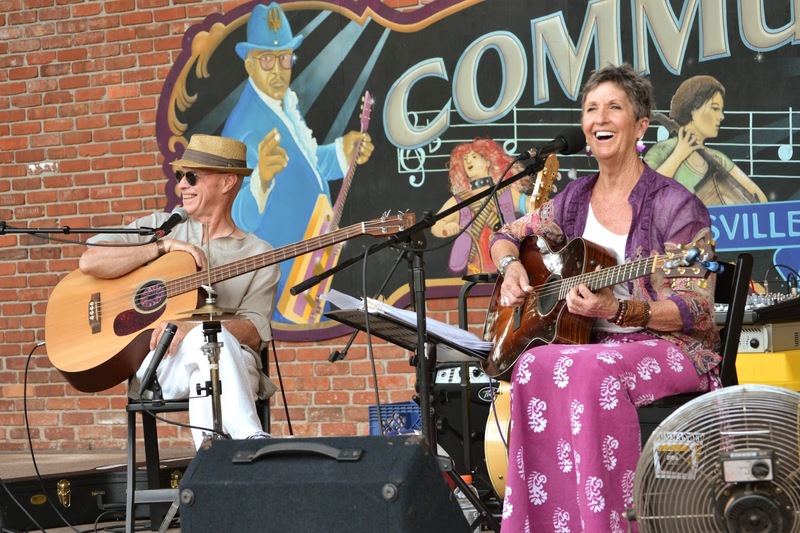 The duo MIDDLEGROUND consists of Barbara and Mark Armbrecht and is the product of over 40 years of collaboration between these two professional musicians. The music has evolved over the years to now include an eclectic mix of folk, pop, blues, ragtime and classic favorites, all of which have been flavored by Barbara's finger picking style, use of open tunings and occasional use of slide and supported by Mark's solid and expressive bass technique. Prior to moving to Florida and forming MIDDLEGROUND, both Barbara and Mark worked in the studio recording industry, Barbara as a vocalist and Mark as a bassist, and for many years they could be heard on numerous national and local commercials. Mark was also the bassist with the staff band and Barbara appeared as a regular for Jamboree, USA, a weekly live radio broadcast of country music featuring the top country artists of the day and second only to the Grand Ole Opry in Nashville in status. They also appeared on Jamboree In The Hills, the largest country music festival in the country several times and played to an audience in excess of 100,000 people. Today, they combine these years of experience to create a mix of music that appeals to listeners both young and not-so-young and their relaxed style creates an intimate feeling with their audience whether it is large or small. 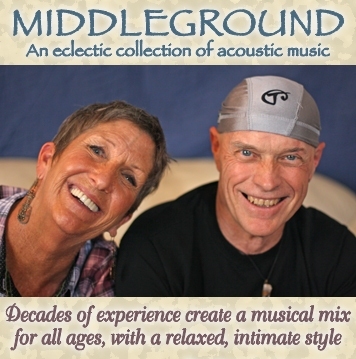 Since it's beginning over five years ago, MIDDLEGROUND has been widely accepted in North Central Florida, appearing at local eateries, festivals and private functions and can be heard regularly at such outstanding local restaurants as The Great Outdoors in High Springs, and at Cafe C in Gainesville on Sundays for the Brunch. 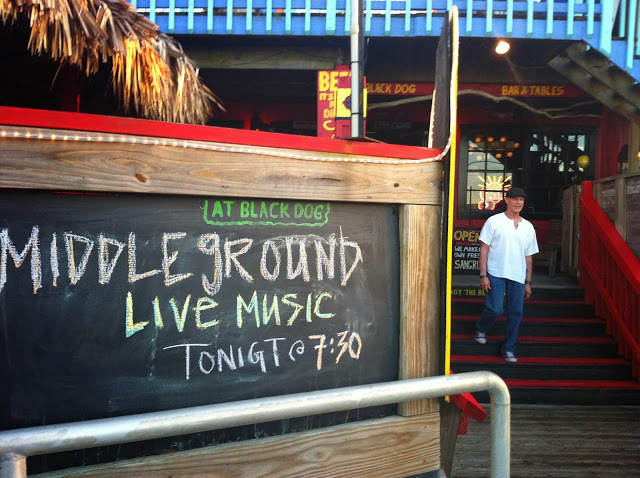 MIDDLEGROUND has competed in the North Central Florida Blues Competition and was chosen to represent the North Central Florida area at the International Blues Challenge in Memphis, Tennessee in January, 2013 in the Duo category. SPECIAL FEATURE! NEW ORIGINAL ~ "MOUNTAIN MOURNING"
Two nights of amazing music, food trucks, and fun! The second annual Cymplifest is something you won't want to miss! (1/2 mile away) every 10 minutes.